﻿ G & R Tavern - Ohio. Find It Here. Where's Waldo? 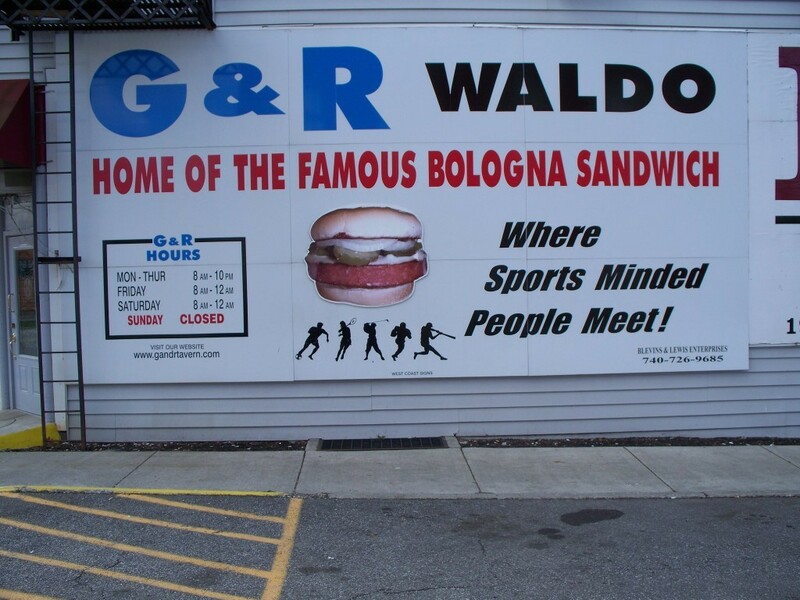 More importantly, where's the G & R Tavern in Waldo?Famous for their bologna sandwich and mile-high pie, the G & R serves up the epitome of comfort food. People come from down the street and across the nation to order the first thing on their walled menu; the famous bologna sandwich. But leave some room for dessert. With your choice among 6 flavors, each slice of their homemade cream pie stands nearly five inches tall with whipped topping.